This mousse perfectly defines curls and holds them in place. 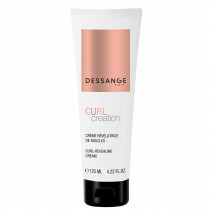 Spring-effect polymer: defines curls and ensures a bouncy hold. Shake well before use. Hold the bottle vertically upside-down to dispense. Spread through the curls with fingertips, then style. Avoid contact with the eyes.